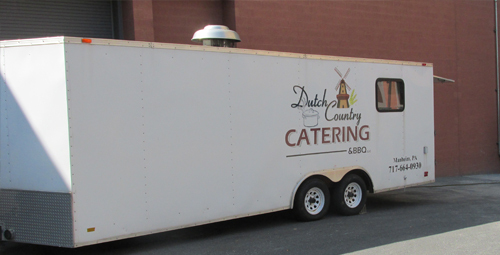 Whether you're planning a sit-down banquet, Christmas party or wedding, welcome your guests with the fresh flavors of homestyle Amish cooking from Dutch Country Catering. With a diverse menu of old-fashioned favorites, we have something for everyone. Want to sample our food before you hire us? Contact us to schedule a FREE tasting. We can prepare the dishes you're considering for your event and share a fine meal at our fully-equipped catering facility. Our full-service catering includes complete table service at your event for all your guests. Perfect for formal weddings, awards banquets, fundraisers and more. Our buffet service allows your guests to serve themselves from an attractively laid out buffet table featuring all of your selections. Great for weddings, banquets, company picnics and more. We offer an economical drop-off service that includes simple food delivery to the location of your choice. Great for smaller parties or larger events with a built-in staff. Our catering services are available 6 days a week from Monday through Saturday. Need Sunday service? 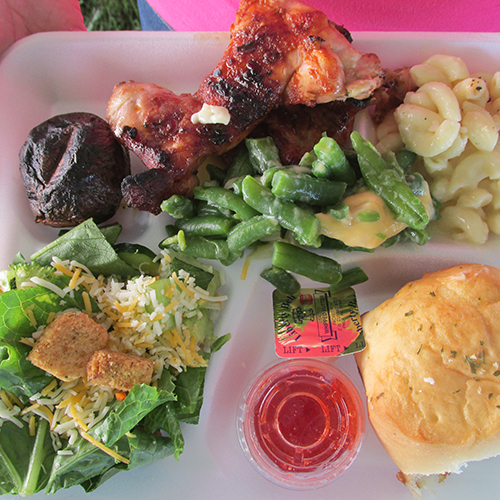 We can prepare your catered meal and deliver everything to your location on Saturday. Get your next fundraiser, benefit or company picnic off to a great start with the mouth-watering aroma of grilled meat wafting through the air. We have our own exceptional recipe for grilling chicken and pork that's sure to please your guests and have them coming back for seconds. Add a few of our signature sides and decadent desserts for a crowd-pleasing barbecue you'll be proud to share with your guests. Just make your selections from our menu to get started or contact us for details! We can prepare your choice of barbecued meat, on-site at your venue to tempt the crowd with the enticing aroma of fresh barbecue. Don't have the room for barbecue equipment at your venue? We can prepare your barbecued meat in advance and deliver it fully-cooked and ready to enjoy! 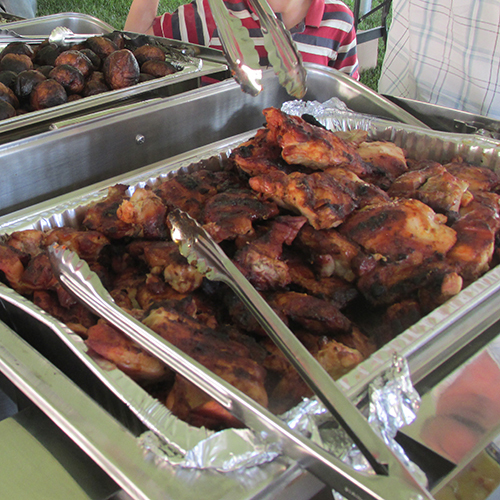 Our barbecue service is available 6 days a week from Monday through Saturday. We are closed on Sundays. If you are hosting a Sunday barbecue we can arrange to have your food delivered the Saturday prior to your event. 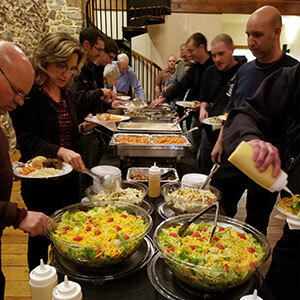 Bring the homestyle flavor of traditional Amish cooking to your next corporate event, banquet or dinner party. We have crowd-pleasing recipes for every taste from traditional favorites like chicken pot pie or homestyle pot roast, to complete packages that include appetizers, lunch or dinner and dessert. Full service, buffet-style or delivery options available. Complete catering for corporate events is available 6 days a week from Monday through Saturday! Contact us to book your event!